The audience is listening (okay, maybe just your family). You open your mouth, and the musical notes pour out in perfect pitch and volume. Yes, you can do this! So, are you ready to learn how to sing better and higher than you ever have? Truth is, many vocalist (even professionals) struggle with keeping on track with their talent. Why? Well, a big reason is that they put aside learning after they make a bit of progress. Yes, I’m guilty of doing this too! That’s why I’m offering these 7 tips to help you learn to sing better. You may have to dig a little deeper into each teaching point. 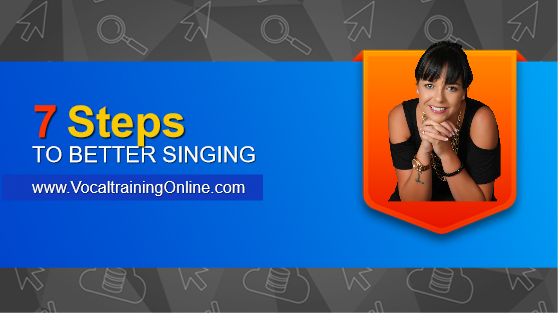 But, this vocal tutorial will get you started with some singing tips to grow on. Do you always sing on key? One crucial lesson when learning any vocal exercises is your voice pitch. 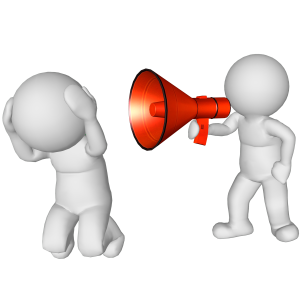 The first step to correct this issue is identifying that your voice is drifting out of tune. Sadly, you might not even hear it unless you have a very good ear for music. Others might have to tell you that your key is off. Or, you might be able to record yourself singing so you can recognize the problem. 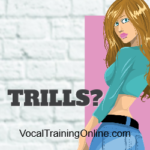 If taking your vocal training online from an actual vocal coach, your music instructor will recognize this problem immediately. Once you realize that your voice is going out of tune during certain parts of a song, then you can work on correcting it. This is where you really learn how to sing better, isn’t it? ==> Learn how you can control your pitch and sing on key..
First, there’s a difference between singing with volume and screaming. When singing along with a professional singer on a CD for practice, make sure the volume of the song is turned down. Turn the music lower than your own voice. In doing so, you can hear if your voice goes out of tune. With the music down to a low level, practice singing that same part of the song over and over until you find yourself singing better without going off key. When I played in groups, the songs we performed beautifully were the ones we were “sick of hearing.” Sad, but true! So, don’t skip out on practice. It pays in the long run. ==> Learn more about singing volume here..
To learn how to sing better, practice scales with “do re me fa so la ti do” over and over with the piano. Then, practice it backwards. Repeating these notes slowly can help you grasp how each should sound. Try to memorize these sounds. One big challenge, especially for beginner singers is learning the right breathing techniques. Nothing helps you learn how to sing better than controlling your diaphragm. Not knowing how the diaphragm works in singing really affects the voice. And sometimes, you can harm your voice if proper breathing and warm up exercises are not practiced. Some vocal lessons cover the art and science of diaphragm singing so that you’ll be in the know about the process. ==> Learn more about breathing & singing here.. Learn how to stay in tune when you sing. One great way is to practice singing with chords (arpeggios). C, G, E, F, A, B, and D.
Yes, recording your voice, even as a beginner, gives positive or negative feedback. After each practice, record yourself singing the scales and chords to see how well you match up to the instrument. This vocal range training can help you sing higher or lower, with time and persistence. ==> Learn more about how recording your voice works..
Another vocal training method is to record yourself singing some of your favorite songs with karaoke. Some people snarl at the thought of practicing with karaoke. They believe the myth that sing-a-longs are for amateurs & novices. But in fact, the singing machine helps you identify trouble spots so you can work on them. Okay, we covered some fundamentals of learning how to sing better. So, now what? Sing professionally at restaurants, grills, etc. Or, name your own singing goal – then go after it! How Do You Sing and Become Famous? Learning to breathe correctly and staying on key while singing remains two of the toughest challenges for some singers. 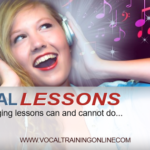 Does taking vocal training online courses insure success? No, not every one makes it famous and gets on the cover of Rolling Stone. But, vocalists are out there right now enjoying what they do! So, if you struggle with these areas, work on the singing tips above before moving forward. If you really want to learn how to sing better, read this again and then practice. I have two suggestions to help you develop your singing skills. 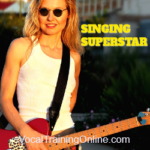 Get my Free singing tips newsletter – You’ll receive amazing vocal lessons through email. Or, if you’re in a hurry to get started..
Take advantage of the complete singing course. No, Singorama is not free but, you’ll learn at a much quicker pace. I highly recommend it. I hope these seven tips will help you sing better than you imagined. And, always look for better ways to improve your singing voice. 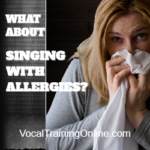 Question: How Can I Sing With Allergies? Can You Believe Over 30,000 People Use This?